Best Buy and Target have exclusive editions planned, and Best Buy’s SteelBook edition may offer the best looking cover art of the bunch (even though official artwork for the common editions hasn’t been released yet). Target’s edition will include an exclusive behind-the-scenes 40-page filmmaker gallery book, while Best Buy’s simply gives you the almost-indestructible SteelBook casing. When shopping on Best Buy, you may now see a little button that says “Upgrade for $5” which compares the standard edition with Best Buy’s edition. The other big US retailer, Walmart, doesn’t have Avengers: Infinity War up for pre-order yet. 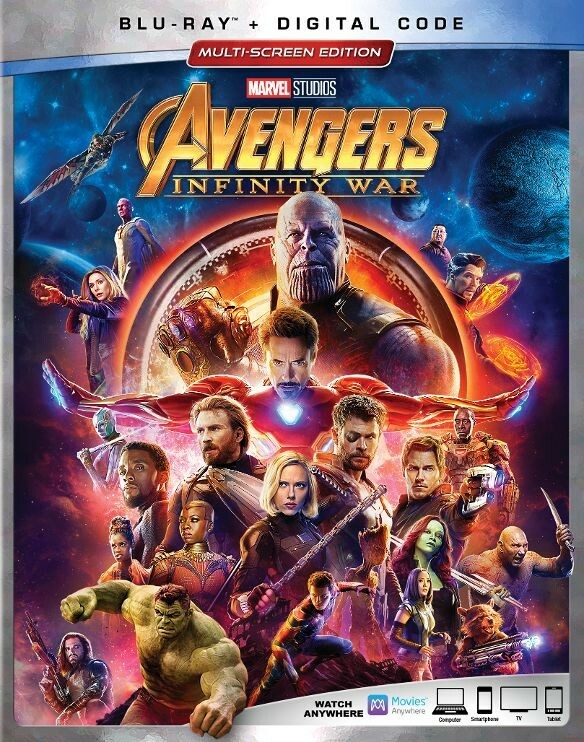 The 2-disc Blu-ray editions of Avengers: Infinity War include a DVD and Digital Copy, while the 2-disc Ultra HD Blu-ray editions package a Blu-ray and Digital 4k copy (with supporting services). 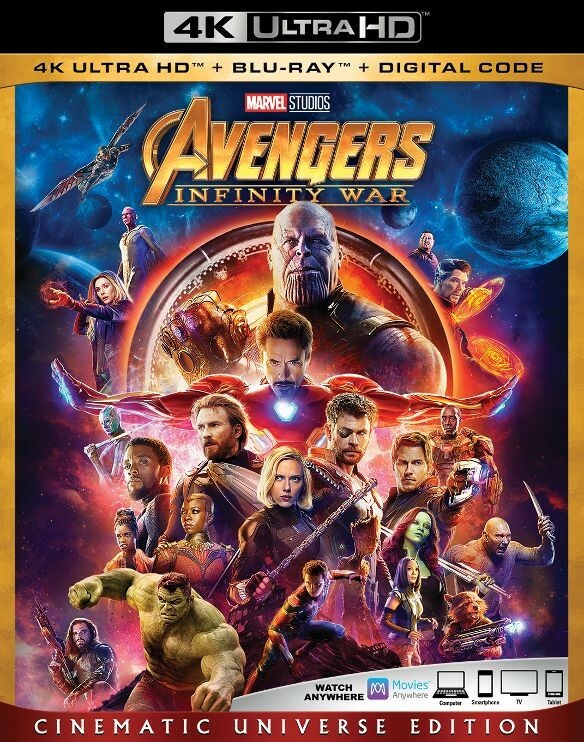 Pre-orders of Avengers: Infinity War are selling for $24.99 (Blu-ray), $29.99 (4k Blu-ray), $34.99 (Best Buy 4k SteelBook), and $32.99 (Target 4k Blu-ray). Amazon, no surprise, isn’t offering disc pre-orders. But they are taking pre-orders on the Digital HD edition for $19.99. Check back soon! We’ll be posting more information about disc specifications, bonus material and other retailer exclusives as soon as received.